Not really sure what to put here other than I’m excited for the class trip. I missed the last one to Tacoma because I was coughing up my lungs sick and didn’t want anyone else to feel that way. 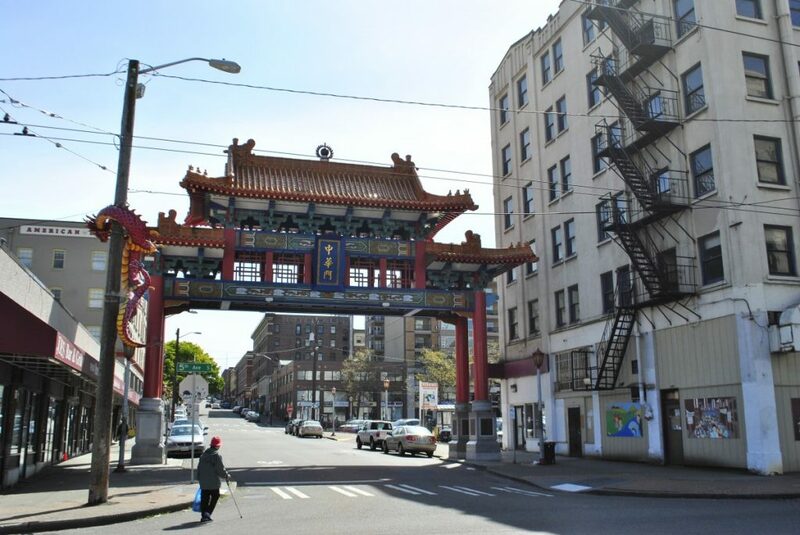 It has been about five years since my one and only trip to Seattle’s International district. I’m curious to see what has changed. I am looking forward to shopping and picking out ingredients for the potluck. I want to make miso soup from the recipe my dad got me from Dubai from the restaurant owner of “Sushi, Sushi”, who is Japanese from Japan. So the recipe is an example of a cultural crosscurrent, as the ingredients are modified for making it in Dubai and not Japan. 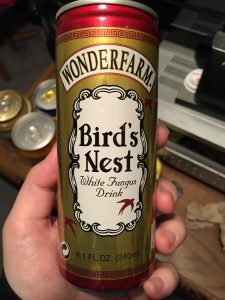 And it still tastes good. I’ve never been to the Luke Wing Museum. I hope I can take photos. I hope it is dry enough to take photos. I’m kind of tired of only using my phone and want to use my prime lens. Take compare and contrast photos from my last trip. 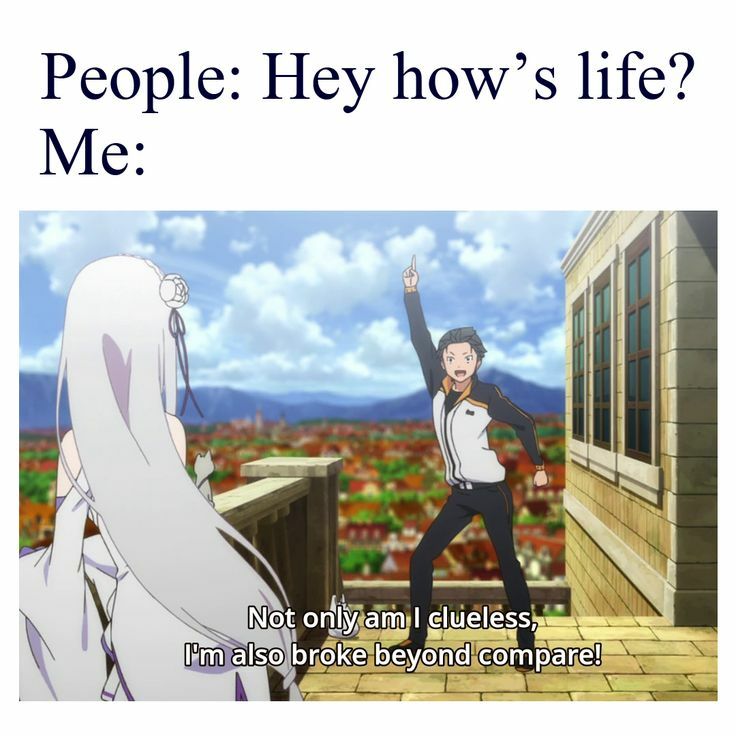 Do something that is non-stigmatizing or offensive, laughing at myself, otaku type thing or purchase. 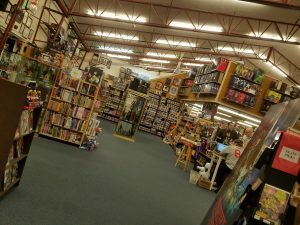 Likely I will buy something that is imported and anime/manga related. 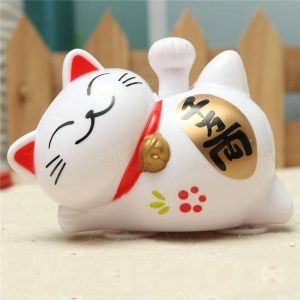 Or another maneki-neko. Or mecha/robot. Or a wall scroll with a robot to look at instead of my ugly, bland blinds on my window. 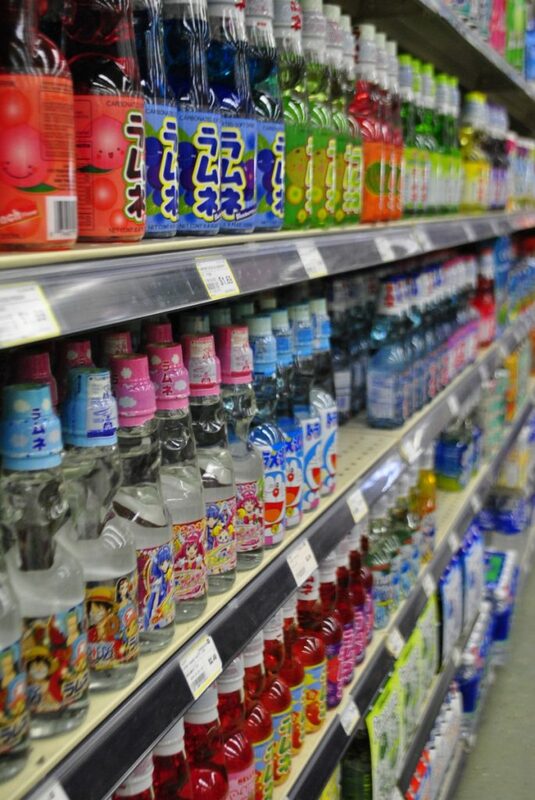 Or unhealthy amounts of ramune. Actually not that cause those get heavy. I also do not want to go there like the stereotypical otaku tourist type that does exist too. I’ve only been there once, so I’ll just remember the concepts behind the moon and the finger. Delibratly ignore the man on the moon, and look for the rabbit instead, shifting and being aware of my personal default perspective, and then let myself geek out over anime and manga for a bit, and robots, and cats, cause I’m otaku (and I like robots and cats and if I had to pick it would be cats). 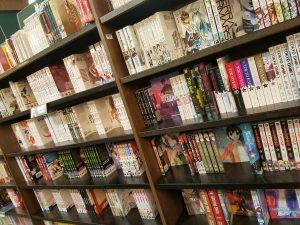 These are some pictures of manga I took for a post I planned on doing on the level of dedication it takes to read or watch some anime and manga in their entirety. 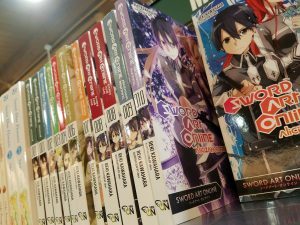 It was supposed to demonstrate that you could only like one manga or anime, but the sheer volume of, volumes, would make it look like you were a stereotyped/stigmatized otaku type, even if you just wanted to know how the manga “Fairytale” ended. 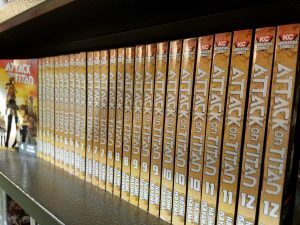 The first photo shows you’d have to read 60 volumes at least, I didn’t look up the total number but I know the anime is airing its final season next year. 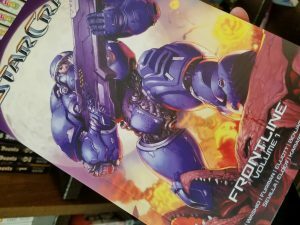 No, I’ve never seen or read it yet, because there are 60 volumes of it and I don’t own sixty or more of anything except legos, art supplies, Magic cards and many different books, not just manga. 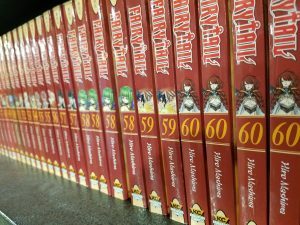 I don’t own sixty manga. I’m kind of, weirdly sad. I’m going to fix that now, just because, but that might be sleep deprivation and the Rockstar talking.